April 14 (AZINS) The National Investigative Agency (NIA) has arrested another accused in connection with the terror attack at the CRPF group centre in Lethpora of Pulwama. The terrorist attack was carried out in the intervening night of December 30-31 in 2017 by three terrorists of Jaish-e-Mohammad (JeM). Four accused had been arrested earlier in the case and the NIA made the fifth arrest on Sunday. The accused has been identified as Irshad Ahmad Reshi, a resident of Ratnipora in Pulwama district. 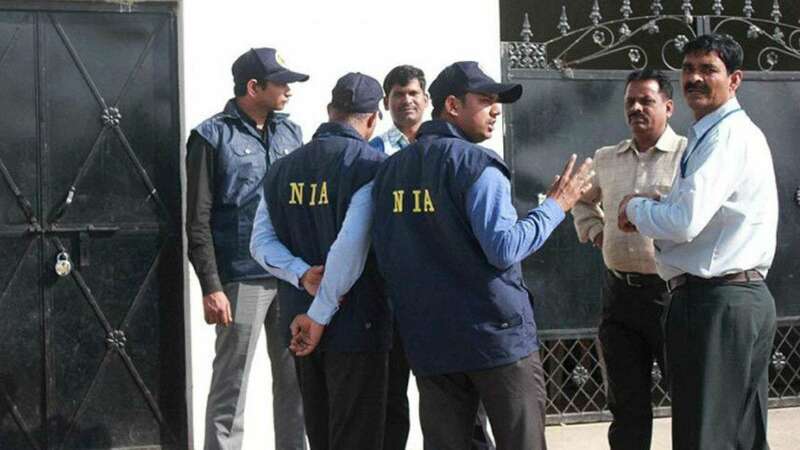 "He is fifth accused to have been arrested in the case during follow up investigation upon disclosures of accused Nisar Ahmed Tantray and Syed Hilal Andrabi arrested earlier," the NIA said in a statement. The arrested accused are: Fayaz Ahmad Magrey of Lethpora, Awantipora; Manzoor Ahmed Bhat of Pampore, Awantipora; Nisar Ahmed Tantray of Dar Ganai Gund, Tral, Awantipora and Syed Hilal Andrabi of Ratnipora, Pulwama. The central terror probe agency said Irshad Reshi is an active OGW (Over Ground Worker) of Jaish-e-Mohammad(JeM) and was a close associate of slain terrorist and JeM Commander Noor Mohammad Tantray. "The attack on CRPF Group Centre, Lethpora was executed under a conspiracy to avenge the death of Noor Trali, who was killed in an encounter with security forces in Dec 2017," the NIA said. Irshad Ahmad Reshi has been found to be a key conspirator who provided logistic support in form of sheltering and transport for the terrorists and conducting reconnaissance of the CRPF Group centre, Lethpora before the terrorist attack, it said. He will be produced before the Special NIA court tomorrow. The CRPF group centre in Lethpora was attacked by three terrorists and NIA was given the responsibility to probe this attack, which had claimed the lives of five CRPF personnel. The probe by NIA had revealed that the cowardly attack was carried by Jaish terrorists. The three terrorists involved in the attack were identified as Fardeen Ahmed, Manzoor Baba and Abdul Shakoor. The NIA earlier this week had arrested absconding Jaish-e-Mohammad terrorist Nisar Ahmed Tantray as soon as he landed at Delhi airport after being deported from UAE. Nisar, a resident of Tral in Pulwama district of Jammu and Kashmir, had fled away to UAE on February 1, 2019 after one of his associates was arrested by NIA. He is the younger brother of Noor Tantray, the JeM commander who was killed by security forces in an encounter at Pulwama on December 26, 2017. Three terrorists were killed by security forces after the attack. Fardeen and Manzoor were residents of Pulwama, while Abdul Shakoor was a Pakistani national. The mastermind of this attack was Faiyaz Ahmed from Pulwama. He was arrested by NIA on February 4, 2019. According to NIA sources, Faiyaz was an overground worker of Jaish and he had provided shelter to the terrorists who carried out the Lethpora attack. Besides this, Faiyaz also provided all kind of logistical support to the three terrorists.